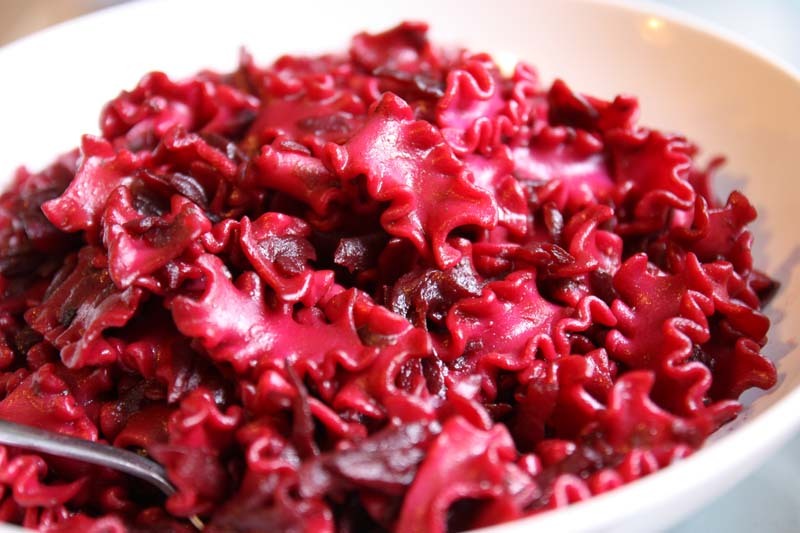 For the past month or so, I have been making this Balsamic Roasted Beetroot Pasta. I created the recipe quite by accident really. I had some left over roasted Balsamic Roasted Beetroot based on a recipe by Denis Cotter, which I then just simply grated and added to cooked pasta. 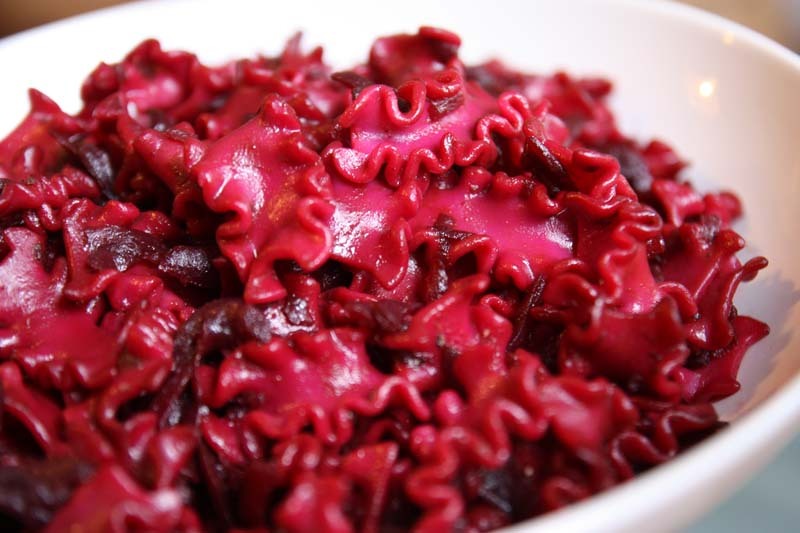 Not only does the roasted balsamic beetroot enhance the flavour of the pasta, it brilliantly naturally dyes the pasta in such a vibrant colour that every one who sees it stops to stare and sometimes braves to try. And when they do, they are so pleased with the earthy sharp and sweet flavours. The pasta that I had originally used was farfalle - the bow-shaped pasta which looked so pretty like a colourful pink butterflies. I thought it was so apt because farfalla in Italian means butterfly. I didn't get round to taking a photograph of the farfalle balsamic beetroot pasta, instead I used another pasta type to hand which in this case was mafalda corta, a ruffle shape found typical in the Campania region of Naples, Italy. This Balsamic Roasted Beetroot Pasta is actually quite a tasty pasta dish and its great cold for lunch. I am sharing this at Presto Pasta Nights (PPN). PPN was founded by Ruth Daniels of Once Upon a Feast and each Friday night a different host posts a roundup of pasta dishes submitted by bloggers from around the world. This week PPN #276 is actually being hosted by Ruth herself.